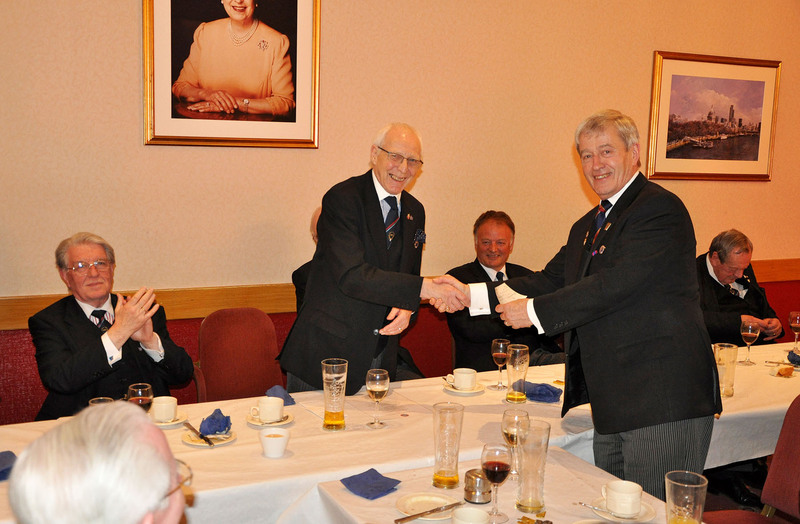 In March I was invited by the Worshipful Master, W.Bro. 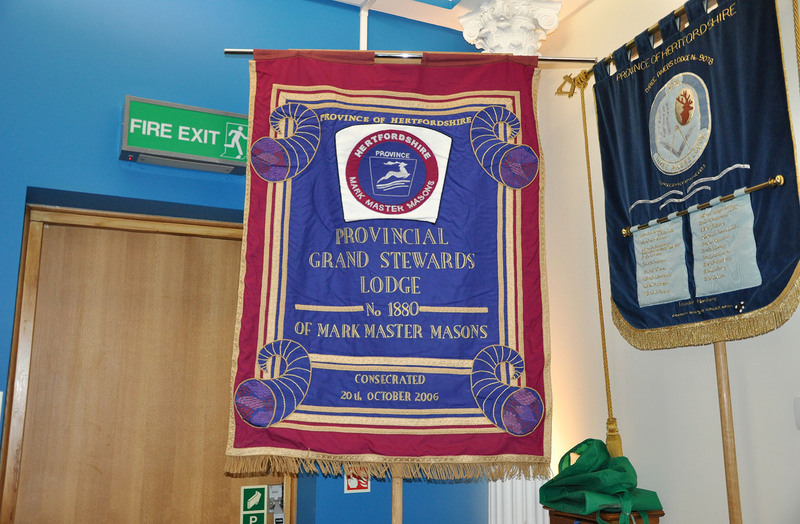 Jon Lydon, PGStB, ProvGReg, to a meeting of the Provincial Mark Stewards Lodge of Middlesex to give a talk on American Mark Masonry. 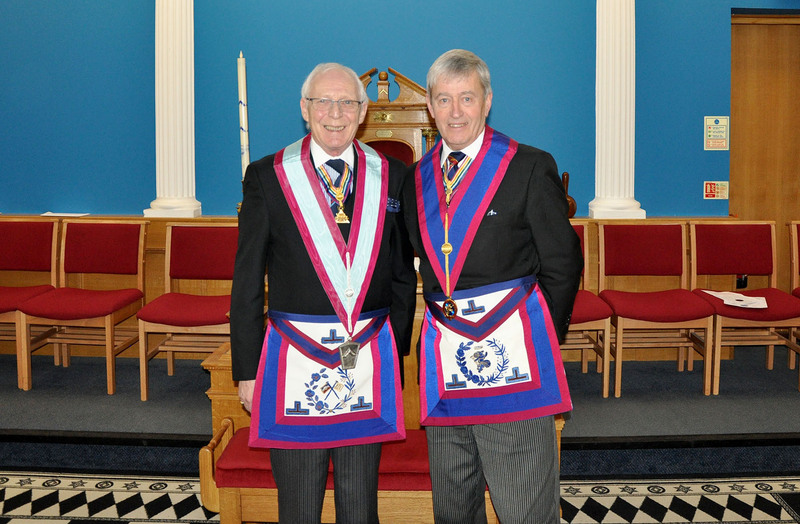 Also present was the Provincial Grand Master of Hertfordshire, RW.Bro. 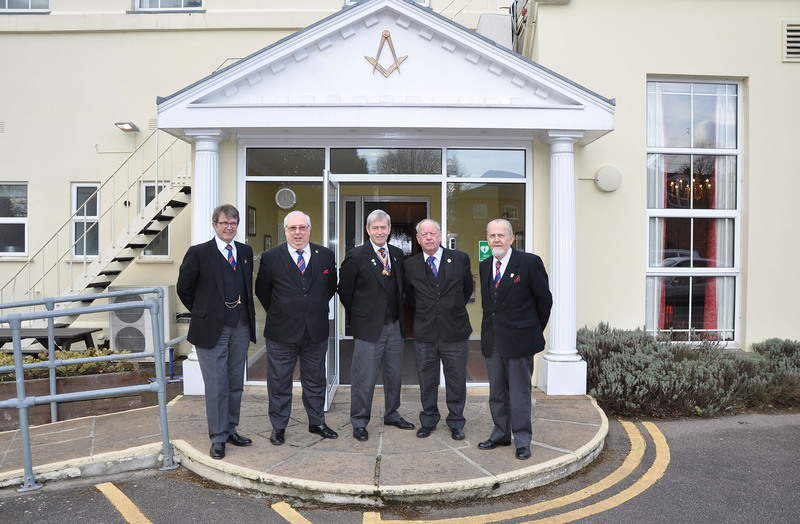 Chris Radmore, and the Worshipful Master, the Senior Warden, the Junior Warden and Secretary of the Surrey Mark Stewards Lodge. 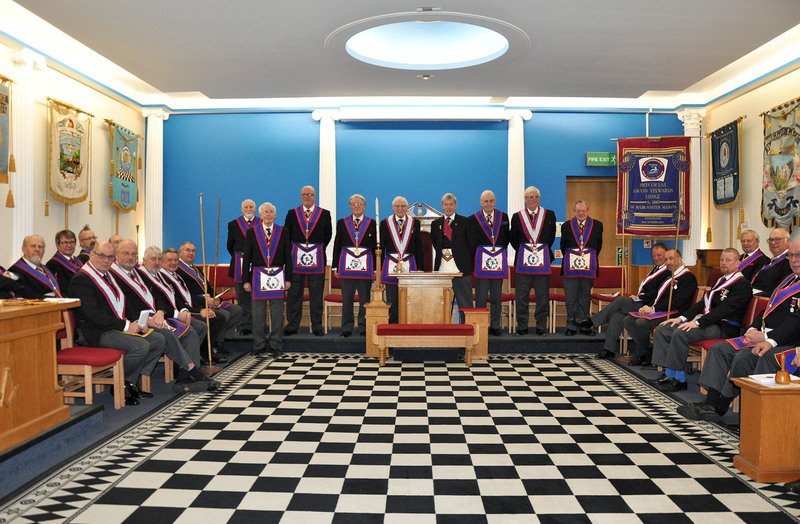 The Lodge was opened by the Worshipful Master and a eulogy to a well respected member of the Lodge, W.Bro. Colin Taylor, PGSD, was given. 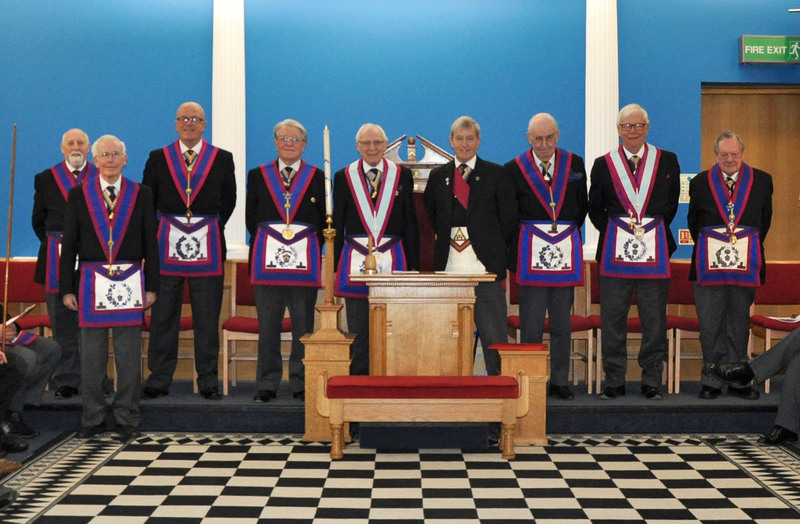 The RW Provincial Grand Master was saluted with 7 under the direction of the Provincial Grand Director of Ceremonies. 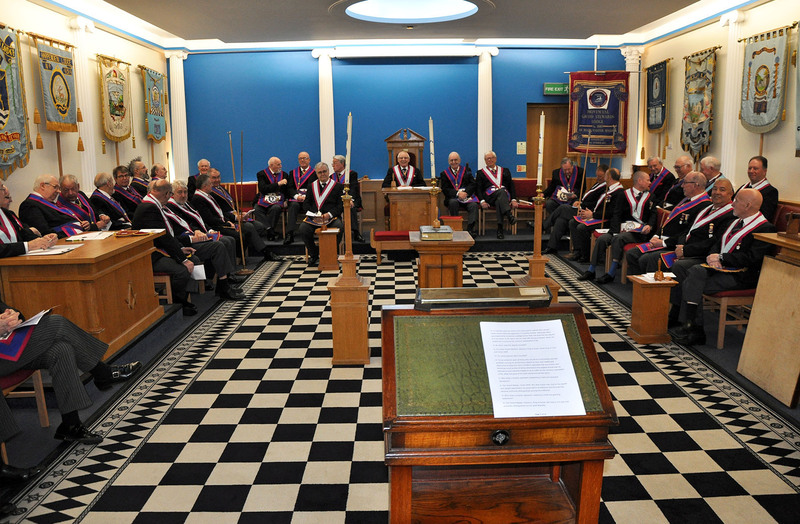 After the regular business of the Lodge was completed the Worshipful Master called off the Lodge and preparations were made for the lecture. 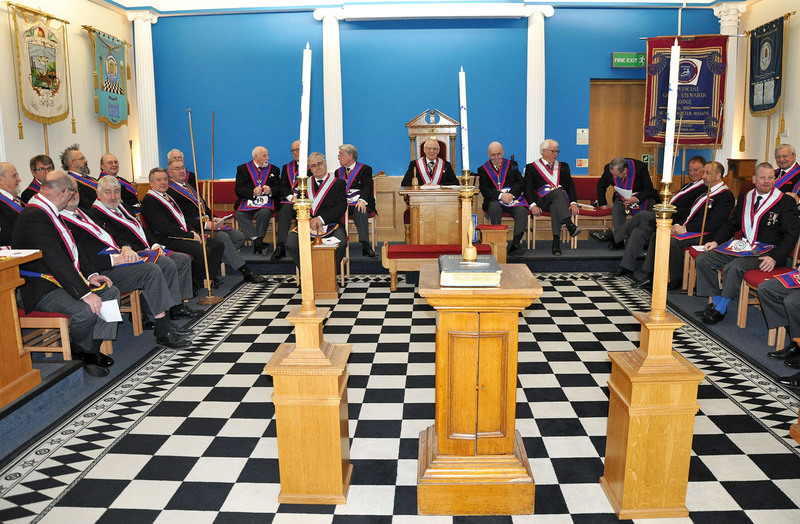 This included moving the Altar to the centre of the Lodge surrounded by the three lights and moving the Overseers to the right of the Worshipful Master and the Senior and Junior Wardens. I was then invited to give a Lecture entitled ‘The 4th or Mark Master Degree’ describing the making of a Mark Master as practiced in America. This was given in the form of a catechism with the Worshipful Master asking the questions and me giving the answers. We were assisted by W.Bro. Bill Barr, who recited the Obligation. The Lecture was well received and prompted some discussion afterwards. The Lodge was then called on and, after the Risings, closed in due form. After drinks in the bar the members of the Provincial Grand Stewards Lodge of Hertfordshire and their guests sat down to a splendid mixed grill dinner at Ashwell House, St Albans, where the Worshipful Master presented me with a cheque for £50 towards our 2022 MBF Festival. 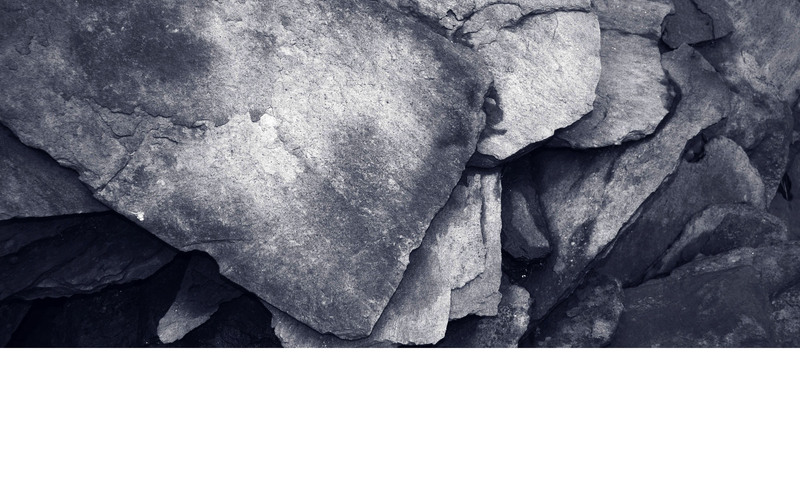 This was gratefully received and will be faithfully applied.